In honor of the Super Bowl XLVII, a football themed Monday Motivation. 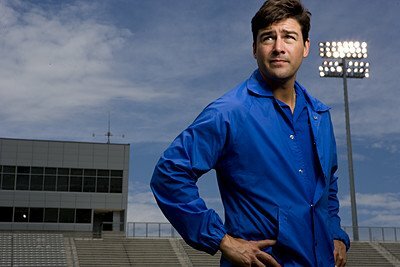 A few years ago, my wife and I started watching a TV show called Friday Night Lights. It is pure Texas football. In the pilot episode, Coach Taylor leads his nationally ranked Dillon Panthers into what most expect to be a State Championship season. However, Dillon’s star quarterback is seriously injured in the opening game. Coach Taylor addresses his team after the loss. He speaks of brokenness, but also the hope lying on the other side of it. Perhaps this prayer is good reminder not only for the start of this week, but every week after.